There's a new book in town. 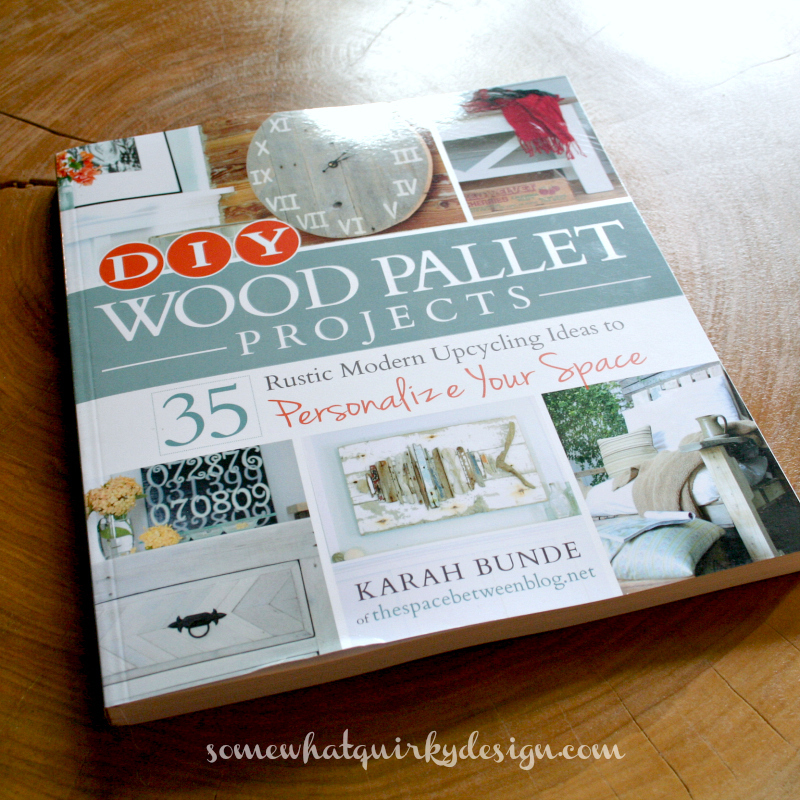 DIY Wood Pallet Projects - by Karah Bunde. A rough and tumble sweetheart. I met her blog right after I started blogging in 2012. Then when I went to Haven in 2013. She was the very first person to walk right up and say "You're Karen from Somewhat Quirky!" I didn't even have my picture on my blog yet, but she picked me right out. I will add here that she was the ONLY one who walked up to me and said "You're Karen from Somewhat Quirky!" The Space Between is a fun place to visit. I mean who doesn't want to see the amazing transformation of her fixer in Key West? And she does, like ALL, of the work! She could be the most determined person I have ever met. And shes good at it - all this DIY stuff. So good at it they asked her to write a book. She starts at the beginning. Explaining important details like where to find pallets, how to tell if they are good for use, and how to tear them apart. Because you can't make much from a pallet until you tear it apart. Well except a bed. And quite a bed at that! But let's get back to the book. There are all kinds of fun projects. Of course I like the flag. 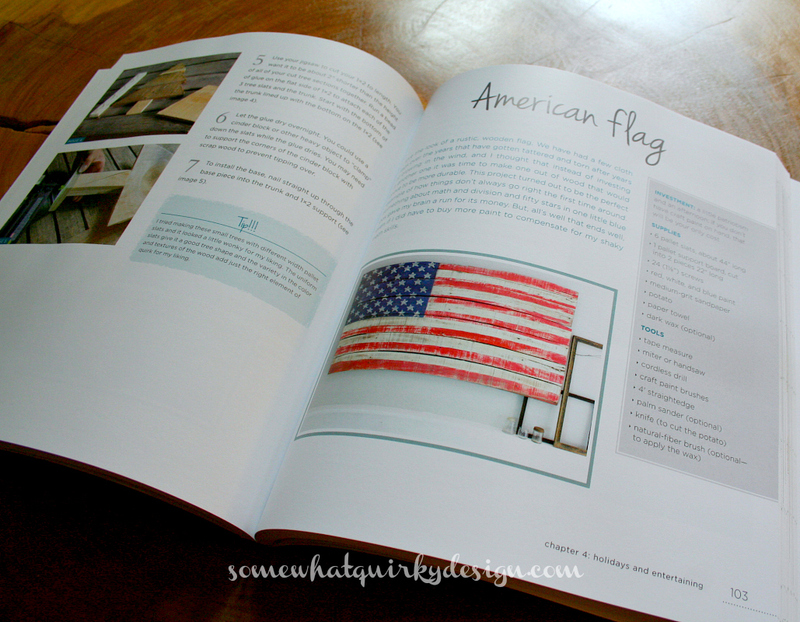 I have a flag like this. But Karah was smarter than me. She has a trick for doing those stars that is much faster and easier than mine. Wish I had had this book back when . . . There are projects for dogs . 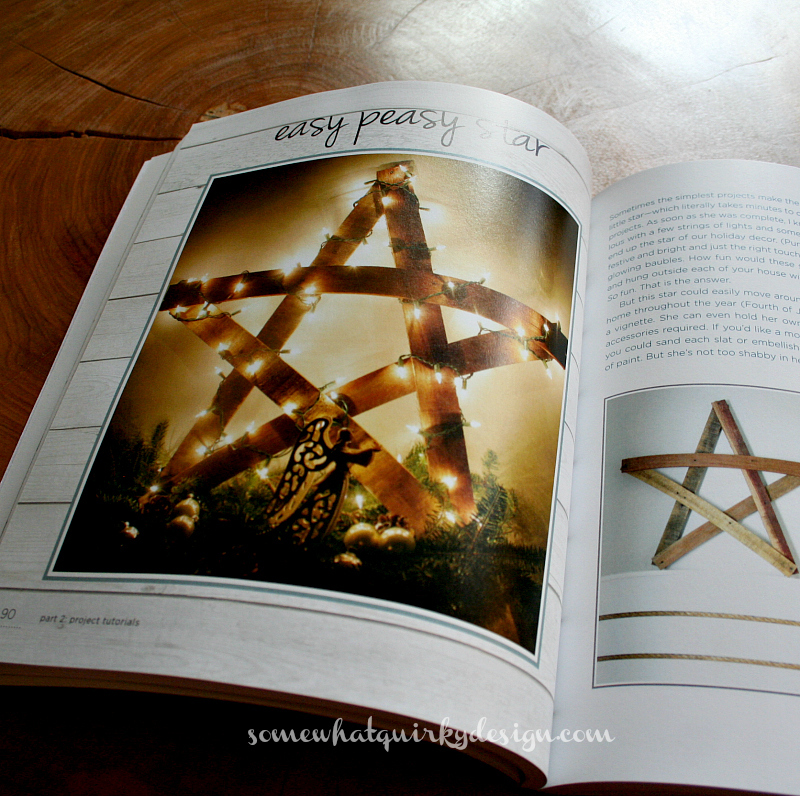 . .
projects for holidays . . . But you want to know what I like best about this book? She solves all my problems in advance. That's good for people like me. I'm always sure that I can make something. And then I run into problems - things I have to figure out. She very graciously tells me all the tricks to avoiding stuff that might go wrong. I think you should get this book. And if you don't want it for you, well I think it would make a great gift for a budding DIYer in your life. They would learn a lot from this book. I love Karah's blog, she is one of the first blogs I started to follow and she is a sweet hart! Ooohhhhhh I am going to have to get this book!!! Even if only to drool over it!! I am not familiar with the blog so I have to go over to meet her. And I will have to check out the book. I have never done anything with pallet wood, but I know where I could get my hands on some free. I had no idea she had a book out. How cool!! 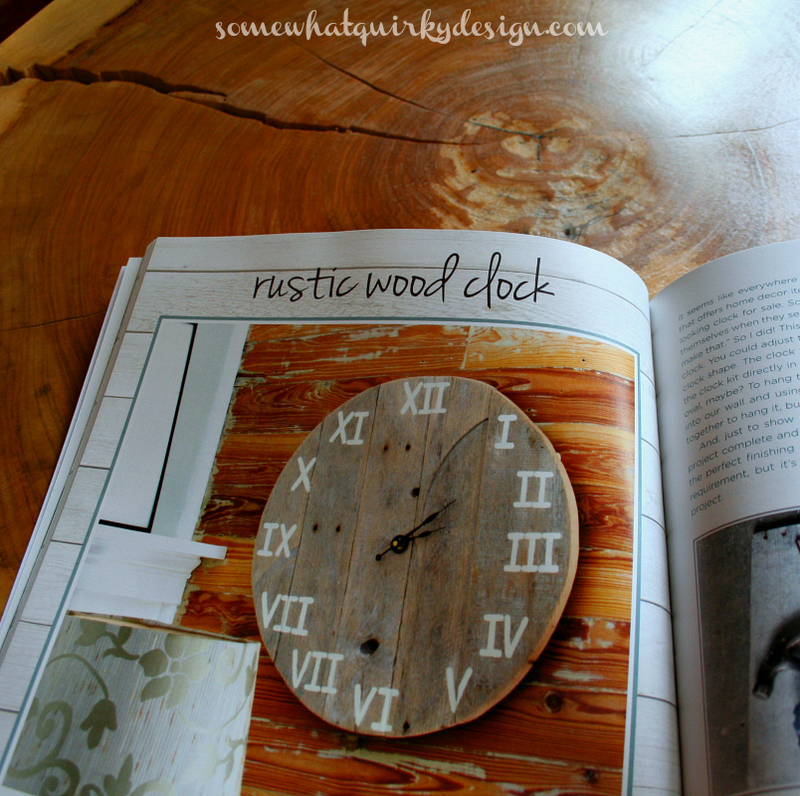 Your pet feeding station and wooden clock are quite fantastic. I would like to make some creative things out of some leftover pallets that I have. My garage needs a clock on the wall, so I think I'll start there. 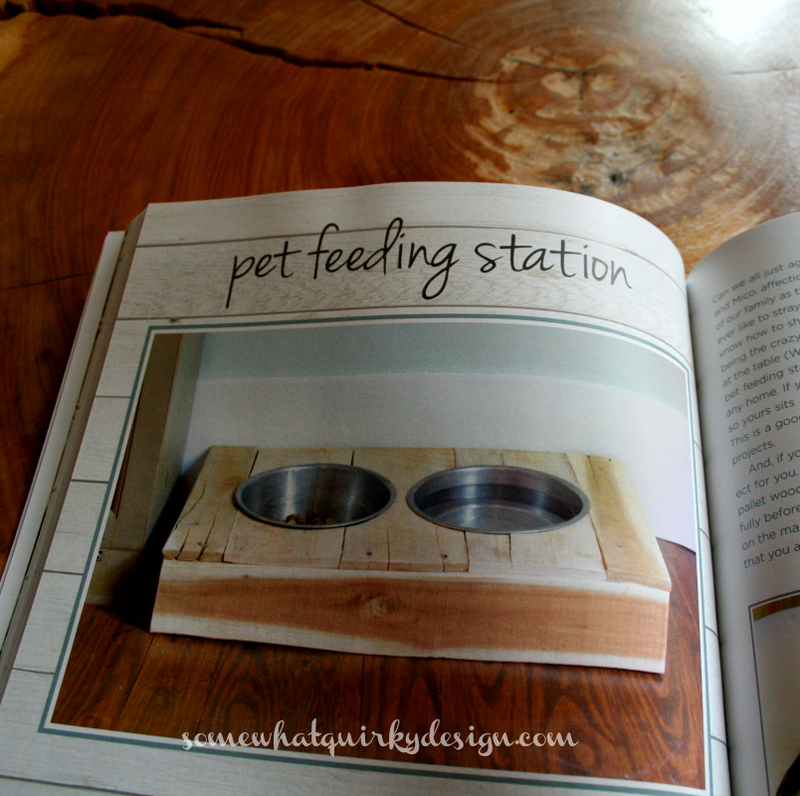 MAybe my dog wouldn't move her food bowl about so much if she had it situated in a feeding station like yours.